E. coli, short for Escherichia coli, is a type of bacteria that can be found in the intestines of animals that at times makes its way into certain food products. The bacteria is normally screened for at all stages of food production, however, at times some slips through to the market. When this happens, the companies who detect an outbreak will usually issue a recall before the infected meats or food products can reach a wide community of people. E. coli infection leads to symptoms like vomiting, diarrhea, respiratory illnesses, and more. There are over 73,000 cases of E. coli each year in the United States. These cases lead to over 2,000 hospitalizations and 60 deaths each year. On top of this, there are a multitude of strains of E. coli that plague Americans each year. The Monks family, residents of York County, Maine, have recently filed a lawsuit against PT Farm of New Hampshire. The case was filed on behalf of their 9 year old son. Earlier this year, Sarah Monks made a meal for her son using PT Farm’s beef. No more than 5 days later was her son experiencing the classic E. coli symptoms, vomiting, diarrhea, and fever. 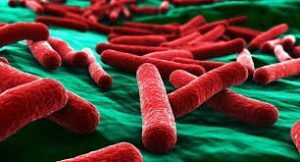 These symptoms are common to most strains of E. coli, however upon the boy’s hospitalization it was determined that he was suffering from E. coli O157:H7, a potentially deadly strain commonly found in most major reported outbreaks. This outbreak went on to affect 14 more individuals across New Hampshire, Vermont, Massachusetts, and Maine. Eventually, the outbreak was traced back to a single date of slaughter at PT Farm. The investigation was run by USDA’s Food Safety Inspection service with assistance from the New Hampshire Department of Health and Human services. Over 8,800 pounds of raw beef contaminated with this strain of E. coli were sitting on store shelves. PT Farm has since initiated a recall of its products. The Monks family’s case is intended to operate upon the principle of negligence. Due to the high standard of care needed to generate produce in the meat industry, these slaughterhouses and processing facilities must be kept up to standard year round, and cannot afford a single slip-up. A lapse in hygiene in such an environment can lead to potentially deadly E. coli outbreaks. Issues related to E. coli are by no means new to the United States. Several meat and produce companies and fast food chains have been the source of outbreaks, including popular chains like Taco Bell, Jack in the Box, Jimmy John’s, and the particularly recent example of Chipotle. E. coli can afflict more than just beef, however, and several produce items can also be the source of the bacteria. It is important to stay aware of the signs of E. coli, but these incidents should not be happening in the first place. It is up to produce and meat companies to take proper diligence to prevent issues like this from occurring in the future.